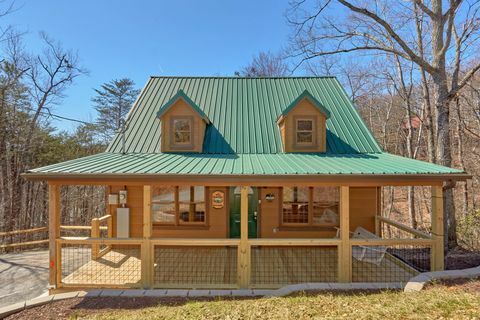 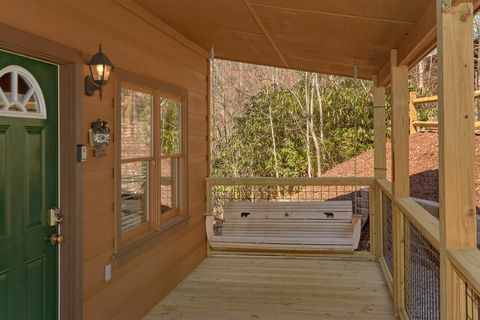 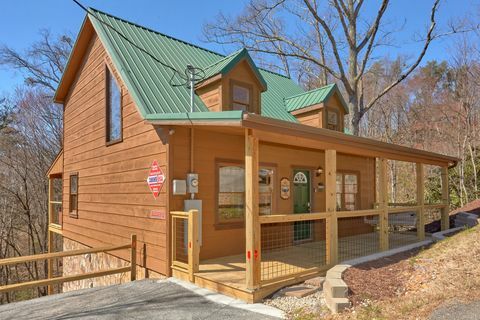 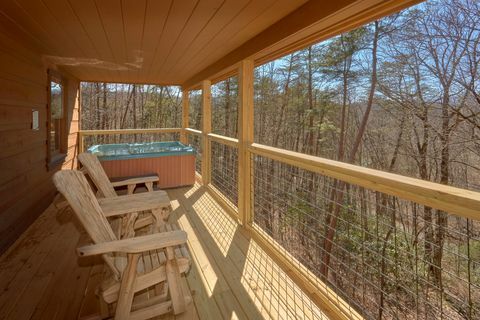 "A Beary Special Place," a 2-bedroom honeymoon cabin in Sky Harbor Resort, provides the perfect romantic getaway for newlyweds on honeymoon or couples seeking an anniversary trip to the Smoky Mountains. 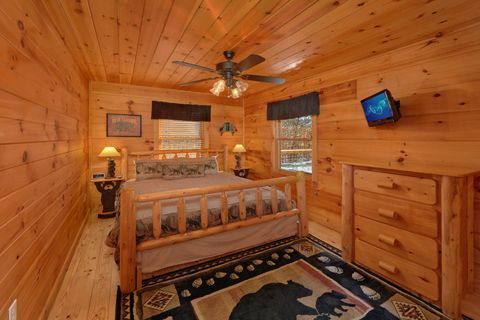 Make memories you and your sweetheart will treasure for years in this truly special cabin. 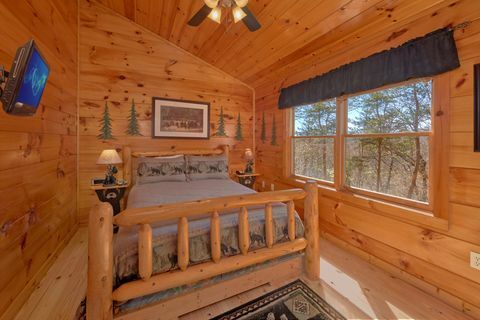 While its décor compliments the neighboring Smoky Mountains and its forested location promotes a feeling of tranquility found only in nature, this honeymoon cabin near Pigeon Forge and Gatlinburg offers upscale amenities and modern comforts as well. 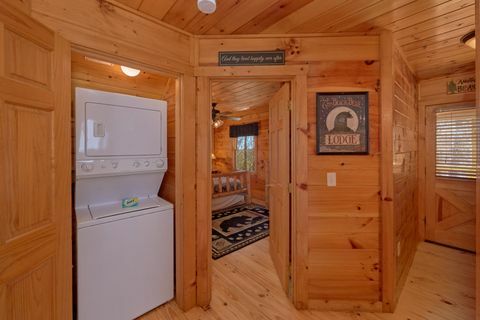 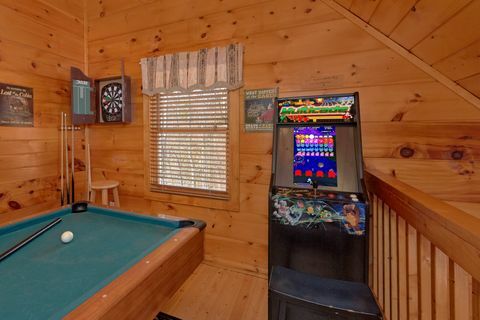 This cabin with Internet access, LCD televisions, and a premium iPod compatible sound system provides everything needed for nights spent snuggling. 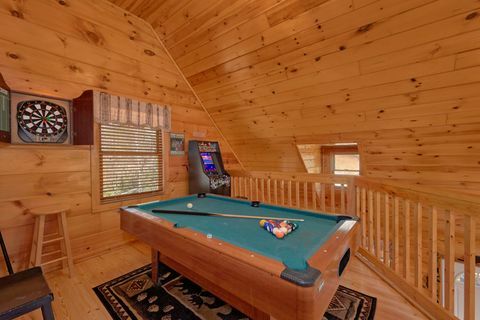 You and your sweetie can enjoy some playful competition with a round of pool, watch picturesque sunsets from the hot tub, or simply curl up together by the fireplace. 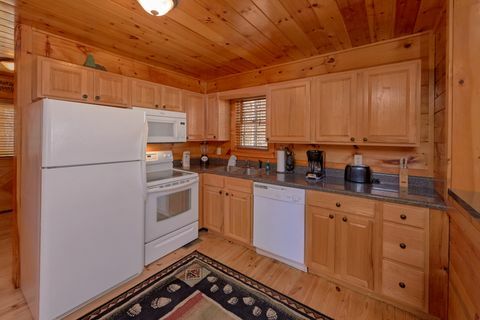 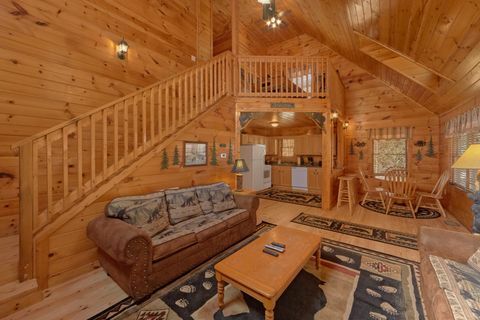 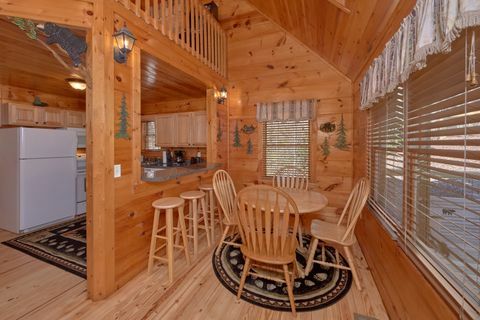 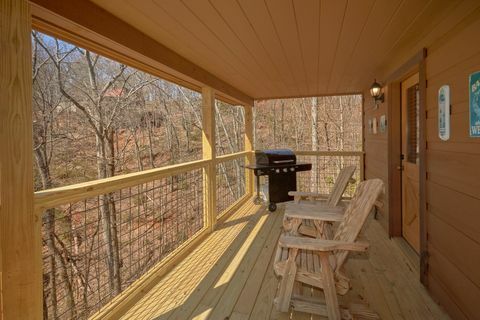 Remember this 2-bedroom honeymoon cabin between Pigeon Forge and Gatlinburg affords visitors the opportunity to easily access area attractions and the Great Smoky Mountains National Park. 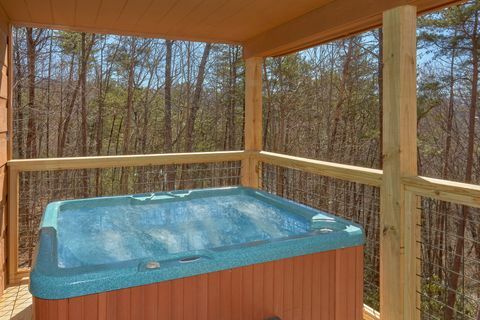 Whether you are into hiking, shopping, live shows or Dollywood, plenty of options for an action-packed honeymoon or anniversary trip await just around the bend from your private cabin. 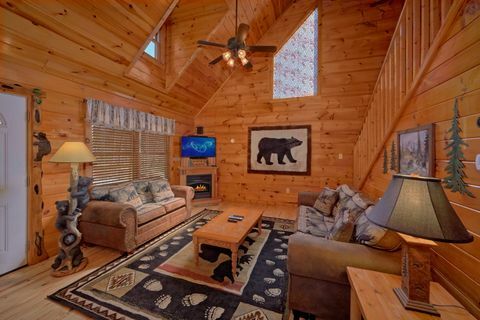 Take the love-of-your-life on a cabin getaway to show him or her how extraordinary he or she is to you at "A Beary Special Place" – your honeymoon cabin in Sky Harbor Resort!